We knew will.i.am was a 3D Printing fan when he included references to the technology in a recent music video. And 3D Systems noticed as well. At the huge Consumer Electronics Show in Las Vegas this week, the 3D Printing equipment and software manufacturer announced that the recording artist, producer, and entrepreneur had joined the company as its Chief Creative Officer. There are two key marketing moves in creating this new position at 3D Systems. First of all, will.i.am has the eyes and ears of regular people, not techies, who are key to future success of personal 3D Printers. But secondly, 3D Systems is ahead of the competition in that it understands that content – and creative content at that – is going to drive demand for personal 3D Printers. Where would PC’s be without software for games, spreadsheets, word processing or whatever we need to do in the digital world? With recent acquisitions in the software and toy space, 3D Systems is looking to not just sell machines, but to drive the entire 3D Printing experience. 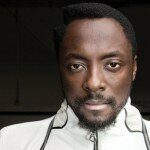 To see the video of the press conference of will.i.am and Avi Reichental click here.